I was a part of something really magical in 2015, but it took me this long to tell you about it. Why? 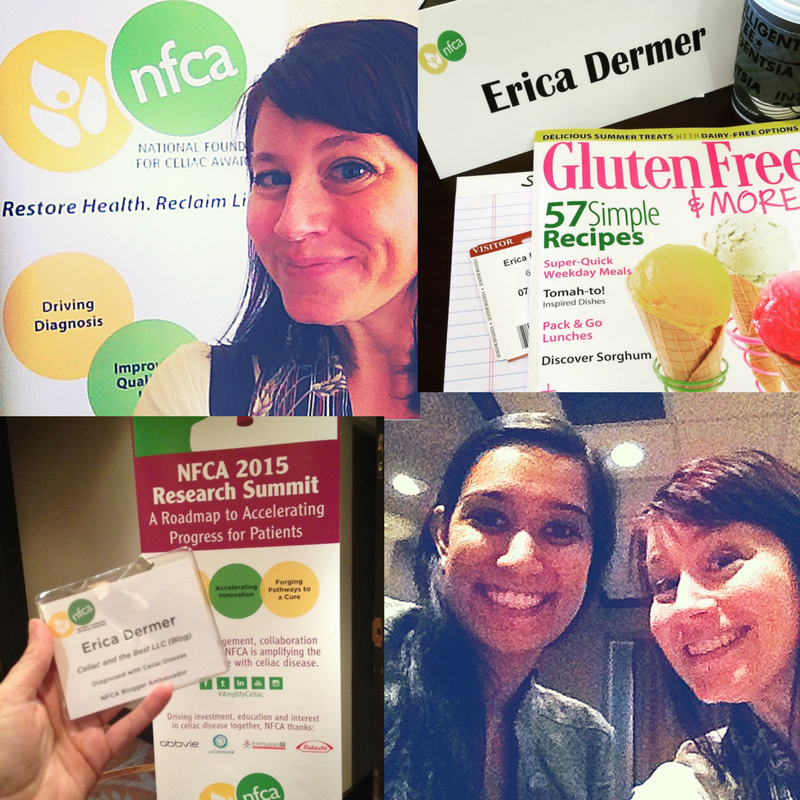 I couldn’t really share with you all the exciting things NFCA (now Beyond Celiac) had planned until now. Because the people at Beyond Celiac have been hard at work since those meetings in 2015 to create something pretty awesome. Go Beyond Celiac is an awesome new digital celiac disease community. I can’t wait for you to get involved! 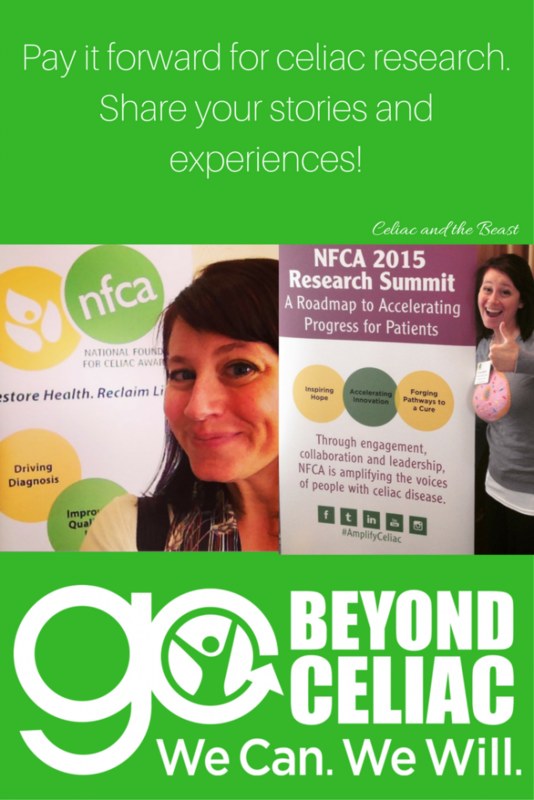 In 2015, I traveled to Maryland and Illinois to work with top celiac researchers, movers and shakers in the gluten-free industry, and key celiac patients to help create this awesome community online with NFCA (now Beyond Celiac). Researching something like this takes a lot of time and a lot of effort – sometimes for years. I had such a great time in 2015 with people like Priyanka from The Adventures of Antiwheat Girl and celiac experts like Dr. Edwin Liu from the Colorado Center for Celiac Disease and Dr. Joseph Murray from Mayo Clinic. I could not have been a prouder celiac at that moment. I had really found my place in the world, serving the celiac population with top-notch research. I couldn’t wait for this Go Beyond Celiac community platform to launch, but I did have to wait! An amazing endeavor like this takes time to perfect. And I am so excited to say that Go Beyond Celiac, the amazing celiac digital community, has launched. I’d love for you to take the community for a spin, because it’s really important. It’s important for the future of celiac research to have a great platform to learn about your unique celiac experience. It’s important to share your stories with other celiacs so we can learn from each other in a moderated way, instead of the wild wild west of the online support community, which often lacks experts and spreads misinformation like wildfire. Below is the press release from Beyond Celiac. Please take a read and consider putting time and effort into the Go Beyond Celiac digital community. Beyond Celiac today announced the launch of Go Beyond Celiac™, a digital community that will enable Beyond Celiac to accelerate treatment options by engaging people with celiac disease, creating an online portal to amass critical data that are not uniformly collected and curated today, including qualitative data about the experience of living with celiac disease, the path to diagnosis and disease management. Go Beyond Celiac is designed to make it easier for people with celiac disease to share their stories at a population level with researchers and participate in research, including clinical trials. “Each person’s experience of celiac disease is unique, from the symptoms a person has before diagnosis to how the disease responds to the gluten-free diet. A rich dataset of patients’ journeys would help researchers focus on the important questions whose answers could ultimately improve the lives of those with the disease,” notes Jake Hughey, PhD, a researcher at Vanderbilt University Medical Center who has celiac disease himself. When diagnosed with celiac disease, a patient is typically told the gluten-free diet is a cure for the autoimmune disease. However, that’s far from the truth. In fact, the gluten-free diet is an unreliable and incomplete treatment. In a recent Beyond Celiac survey, 20% of survey respondents said they have symptoms of gluten exposure at least once a month. Ciaran P. Kelly, MD, Beyond Celiac Board Member and the Director of the Celiac Center at Beth Israel Deaconess Medical Center/Professor of Medicine at Harvard Medical School notes, “At least 10 percent of those with celiac disease who follow a gluten-free diet have ongoing or recurrent celiac disease-related symptoms or signs and physicians are not sure why that is whether it is continued exposure or other causes.” Further, people with celiac disease report a very high burden of disease, comparable to end stage renal disease. In one study, 25% of patients stated that the diet is so burdensome they regretted being diagnosed and would rather have continued having symptoms. 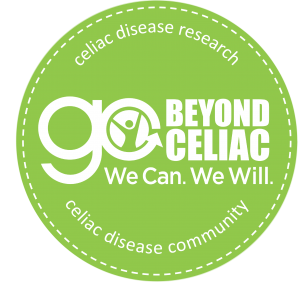 Go Beyond Celiac also provides personalized interaction between community members and creates opportunities for dialog to identify unmet needs and opportunities for improved diagnoses, treatments, and to help our community live life to the fullest. “The gluten-free diet is an incomplete and unreliable treatment, and yet it’s all we’ve got,” says Alice Bast, CEO of Beyond Celiac. “No other options have been developed since the gluten was identified as the culprit in celiac disease some 70 years ago. We deserve better. We need a 21st century research agenda and Go Beyond Celiac and the Research Symposium are designed to speed our community’s progress.” People with celiac disease are invited to join Go.BeyondCeliac.org to participate in advancing research in the field. Visit www.BeyondCeliac.org/BoldBeyondSymposium. Thanks for taking time to read about my experience with Go Beyond Celiac and the hard work that’s put into this community platform. I’ll be attending the Bold Beyond Symposium with Beyond Celiac and I hope by the time I leave for Philadelphia, I can safely say that all Celiac and the Beast readers are happily a part of the Go Beyond Celiac platform!